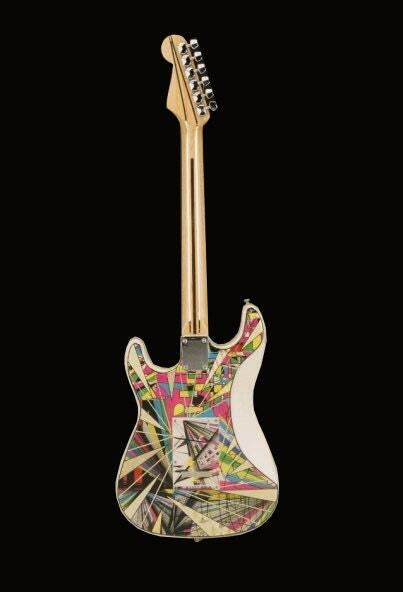 This Fender Stratocaster features an abstract swirl design and is accented with gold foil. 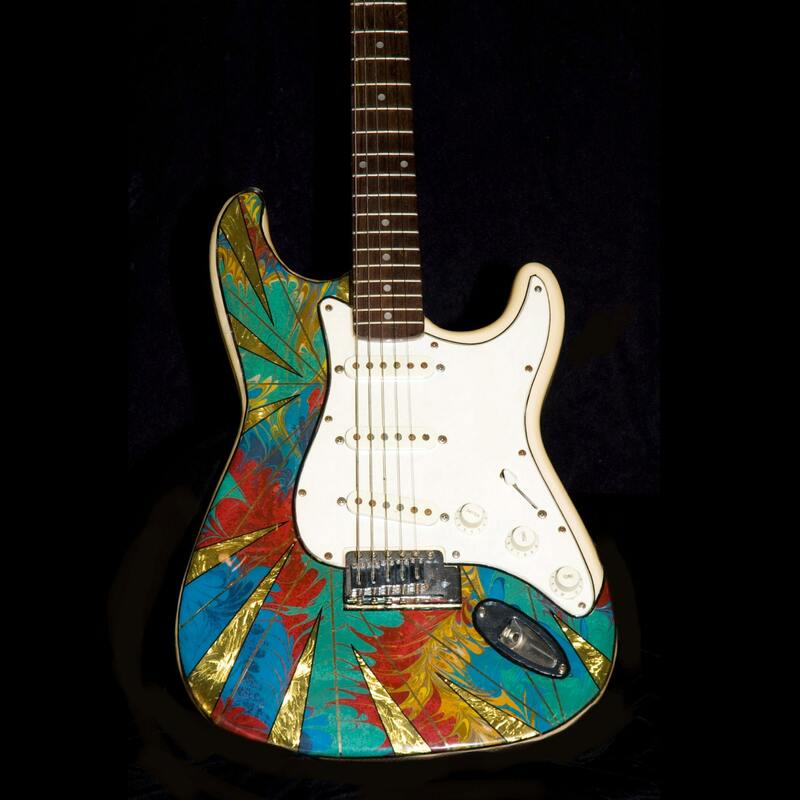 This guitar is completely one-of-a-kind and the perfect addition to any musical collection! Both functional and decorative.